A one point perspective. From street to composite photography. A talk in three parts starting with pictures which have a single focal point. Then a selection of street photography which is one of John’s passions. Finally some composites; studio pictures which have been given a new background. John will explain some of the techniques in producing these images. We have just heard that John has won three distinctions at the Solihull open exhibition including the Chris Palmer Gold Medal. A slightly misleading title as many of the pictures were very good. A very interesting evening of hearing Darren’s tips & techniques to experiment more with our photography at home with various light setups. 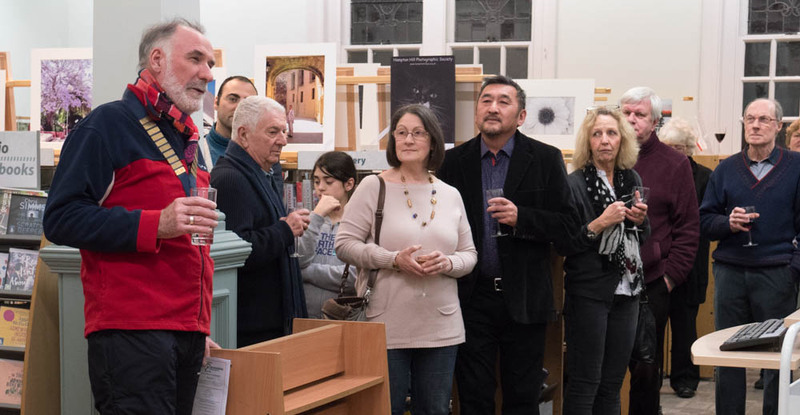 It was wonderful to see such a good turnout to our Annual Photography Exhibition in Teddington Library. 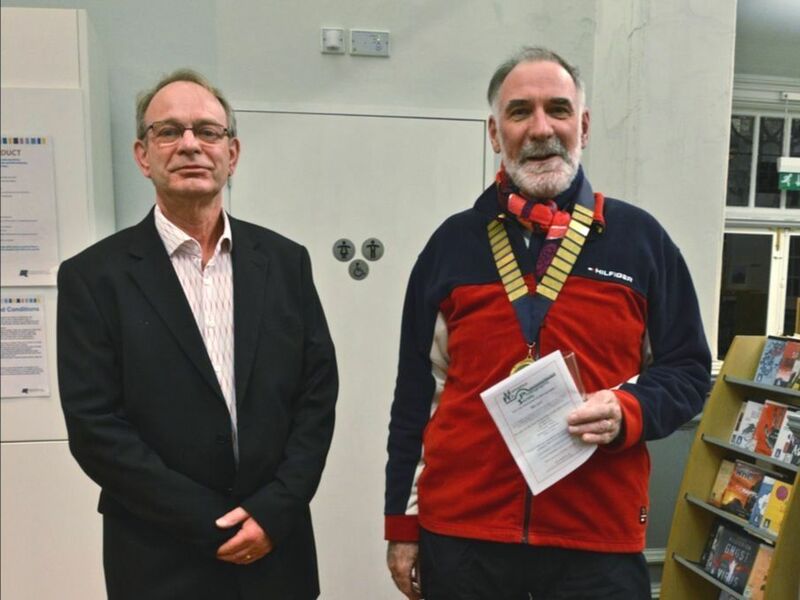 It was formally opened by the Surrey Photographic Association (SPA) President David Smith LRPS CPAGB who complimented us on how varied our exhibition was on the different styles of photography. He also said he was very happy that he was not there to judge but to relax and enjoy our photography. At the opening we had a the well known photographer Will Cheung, who is one of the top writers and critiques for many of the premier photography magazines. It was a nice surprise to see him there enjoying our exhibition. Visitors voted for their favourite photograph by writing the numbered photo on a voting form. The visiting public are also encouraged to do so and votes will be counted at the end of the exhibition. On the night there was a secondary vote for the best panel of four images or more. Congratulations to Penny & Judy who won equal amounts of votes and now have a prize book each! Annual General Meeting (AGM) and members photos. We are looking for members to talk about the images they used for our annual exhibition. The Society will be offering members a free drink at the end of the meeting to celebrate a very successful year. Selection evening for our Club entry into the SPA Inter-club PDI competition. This year we are planning on entering both the Open and Nature competitions. Members can submit up to five PDI images for selection by all members present on the evening! Our Annual Exhibition in Teddington Library. When shooting in very cold temperatures, you may find that your camera battery discharges much quicker than usual. Charge hasn’t actually gone down, and the battery will function normally once warmed up, so the way round this is to keep a spare battery in an inside jacket pocket to keep it warm, and swap between the two. Hope to see everyone at John Phillips’ presentation on 20th February.